...and I wanna tell ya...she is some ship!!! Welcome to the new reason to travel! 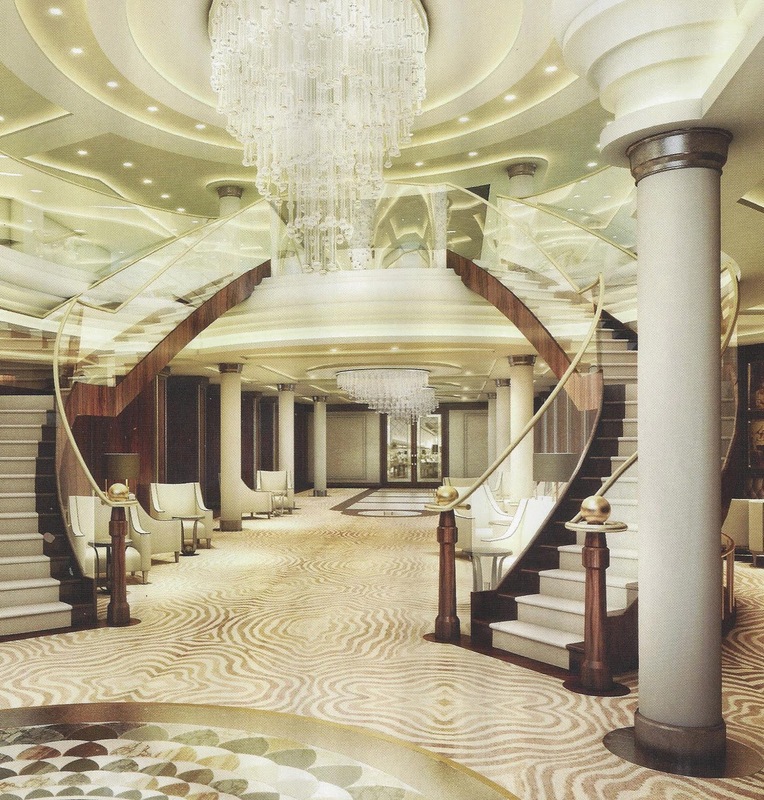 Regent Seven Seas Cruises is building a new ship in Italy's Fincantieri Shipyard that is destined to be the talk of the cruise industry! 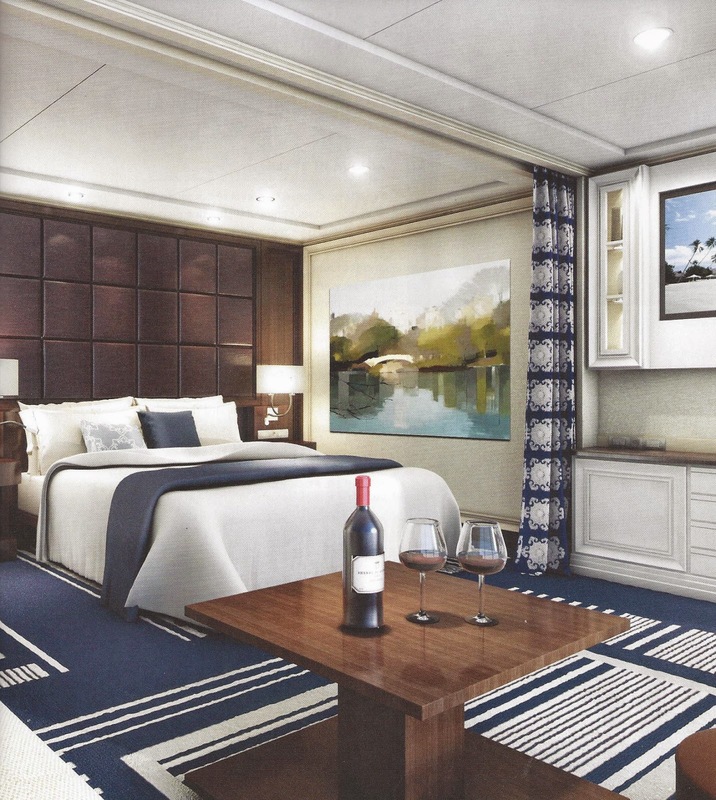 This all-suite, all-balcony ship will be named Seven Seas Explorer and will sail on the Mediterranean Sea for her maiden voyage. Think exotic stonework, polished woods, eclectic lighting and rich fabrics with more spacious and sophisticated designer suites and elegant public areas. Think gourmet dining and luxurious spa treatments. (Regent features the Canyon Ranch Spa Club). Regent is looking to create something beyond all expectations with this ship. They want us to have an experience that is more of a lifestyle than just another vacation. 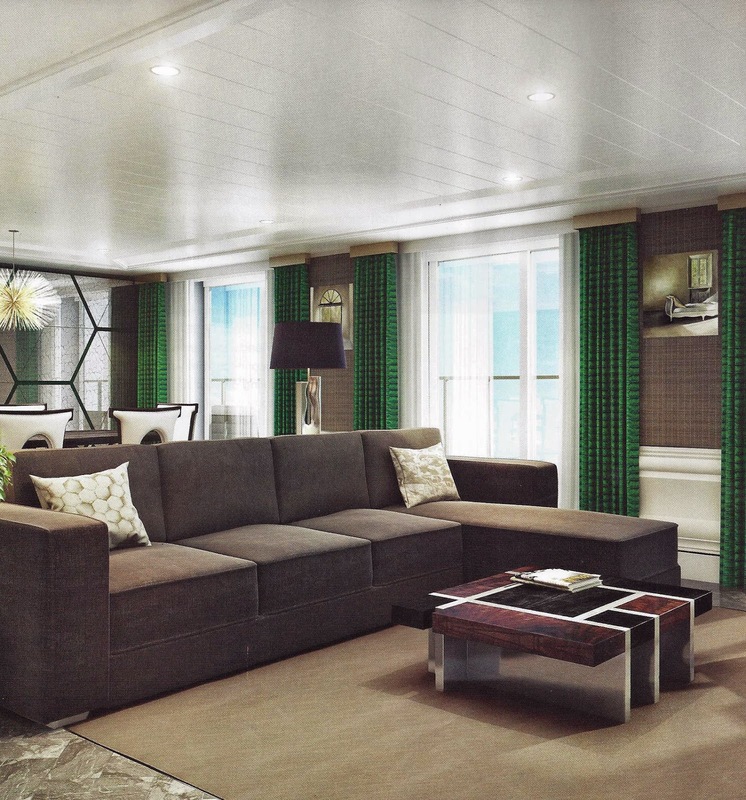 With only about 750 passengers to take care of, the crew of the Seven Seas Explorer is sure to spoil us with a lot more attention than we are accustomed to. The enrichment programs will be provided by the Smithsonian Collection and will surely create a lot of stimulating shipboard conversation. So I'm thinking... intimate ship, designer suites, pampered passengers, fine dining, Mediterranean maiden voyage...yep, I could go for this! You can share in the building of the Explorer and keep up with her progress at www.RSSC.com/Explorer and begin planning your future voyage aboard this most luxurious Regent ship. Then call us at Reid Travel (800-248-8404) to secure the itinerary and suite of your choice. ...and I wanna tell ya... that's gonna be some special cruise! Our 2015 New Year's resolutions are etched in stone (or chocolate, or whatever). So as promised, let's continue with more of Janet Pringle's trip to Ireland. Janet started in Belfast, staying at The Fitzwilliam Hotel Belfast. The Fitzwilliam is in the center of the city adjacent to the Grand Opera House, and is an ideal hotel from which to explore Belfast. The hotel restaurant provided her group with samples of local cuisine created from local produce by their expert chefs before they set out on their tour. What a nice beginning is what I'm thinking. On the tour they stopped at The Peace Wall, where they added their own message of peace and goodwill. There is so much to see along the Causeway Coast which goes around the coast of Northern Ireland between Belfast and Londonderry. 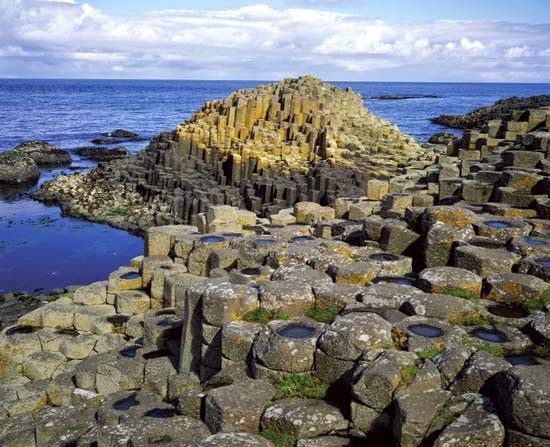 Most notable was "The Giant's Causeway", consisting of 40,000 interlocking basalt columns - the result of an ancient volcanic eruption--it's the only World Heritage Site in Northern Ireland. 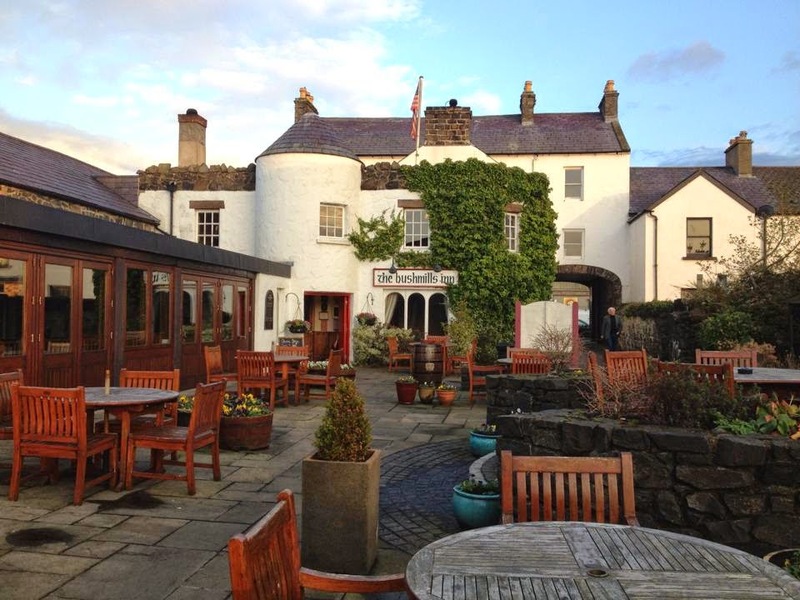 They lunched at The Bushmills Inn, a luxury hotel featuring oak beamed rooms, four poster beds and opulent public areas with peat fireplaces and a secret library. Then went on to the Old Bushmills Whiskey Distillery--the only operating distillery open to the public--where they were introduced to "hand crafting great whiskey since way back". While in Belfast Janet said a must thing to do is to participate in The Cookery School at James Street South. This is an interactive kitchen where they share their passion for produce and cooking with you. Her appetizer and main course were delicious as well as an "over-the-top" mouth-watering desert. Guinness anyone? Before leaving Belfast, they made one last stop at the Crown Liquor Saloon, a traditional and authentic pub built in 1820, which is revered for its eclectic range of real ales and classic pub food all of which are served with a generous measure of that famous Irish hospitality. On to Dublin now (about a 2 1/2 hour drive) to another chic and trendy Fitzwilliam Hotel. This Fitzwilliam is located right in the heart of Dublin and, as a bonus, has a Michelin Star Restaurant. Thornton's Restaurant is considered by foodies to be Dublin's finest. Janet says, "It charms and captivates from the first bite." There are so many must-see sights in Dublin: a visit to Trinity College Old Library to see the Book of Kells exhibition; Saint Patrick's Cathedral which houses Jonathan Swift's remains (remember Gulliver's Travels? 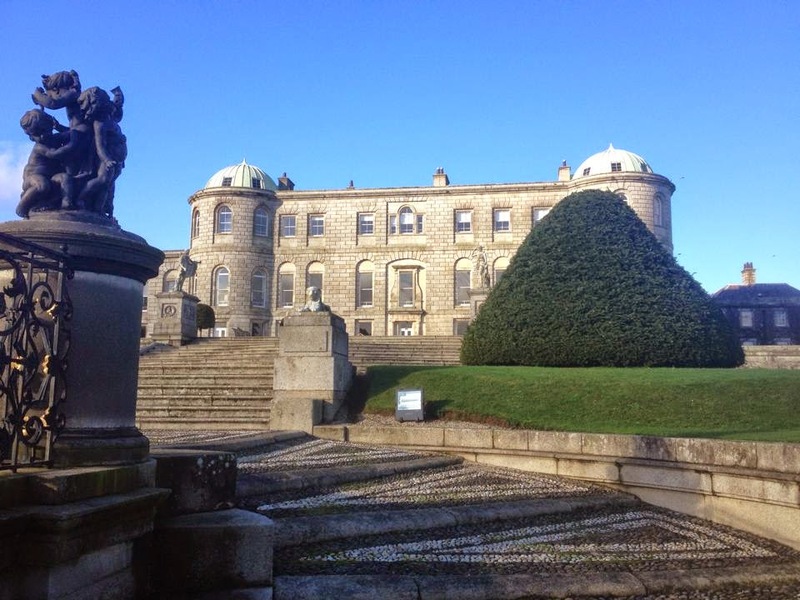 ); Powerscourt Gardens and House which was voted third in the top ten Gardens of the World by National Geographic. Well Janet can go on and on about Dublin, so why not give her a call at Reid Travel 561-395-6670 or send an email to janet@reidtravel.com. I'm sure you'll enjoy chatting with her as much as we do.